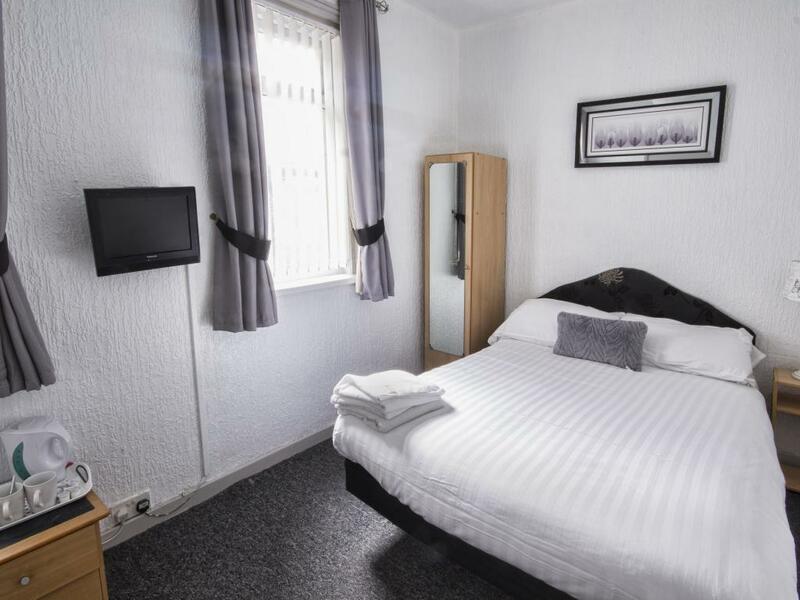 All small Family rooms are fitted with a double and single bed - they are all fitted with a modern en-suite with shower and also have TVs, tea and coffee making facilities as well as free Wifi throughout the building. 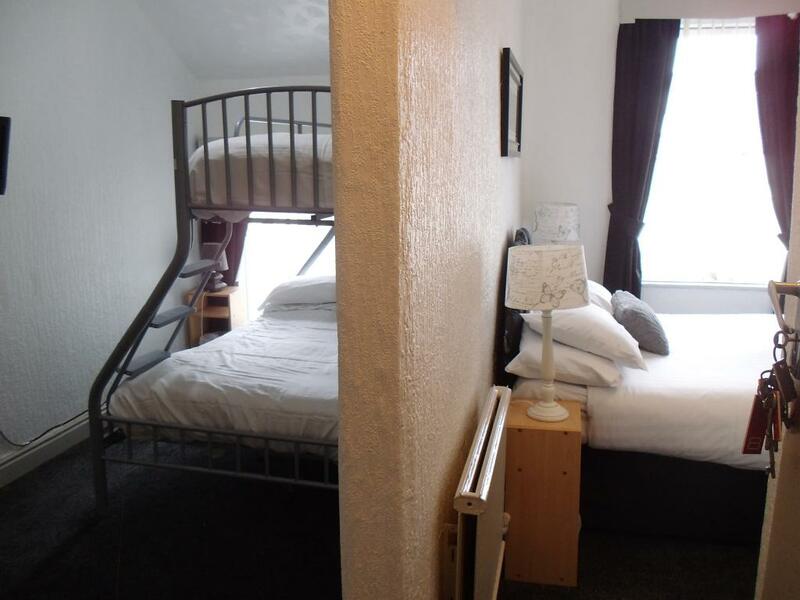 They are adequate for a family of three but can also be used as a twin. 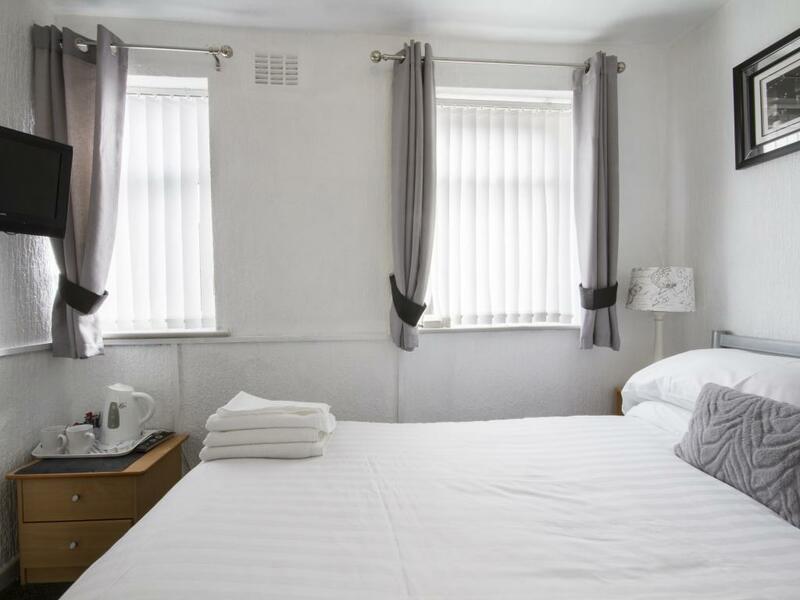 Hairdryers and irons are available upon request. 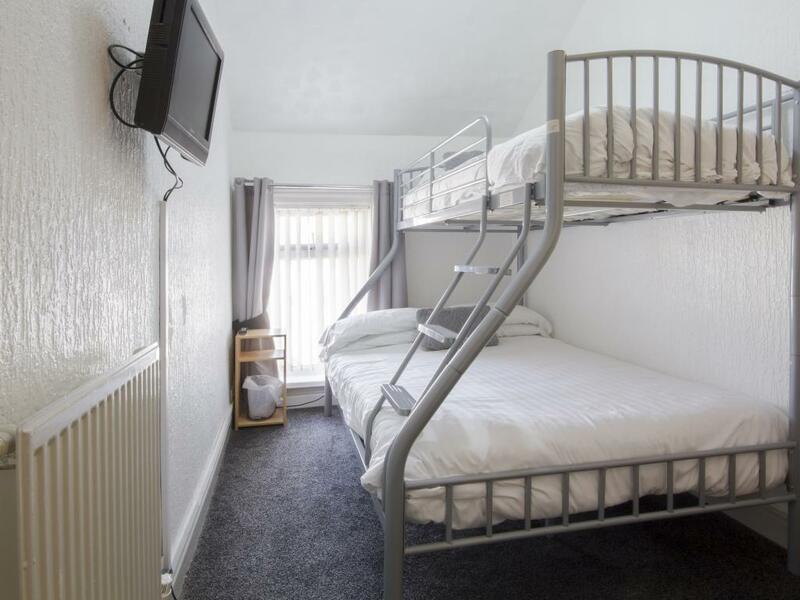 The Large Family Room actually consists of two rooms connected by an arch in one room is a double bed and the other room is fitted with a double/single bunk bed combination - there is also room to have a travel cot. 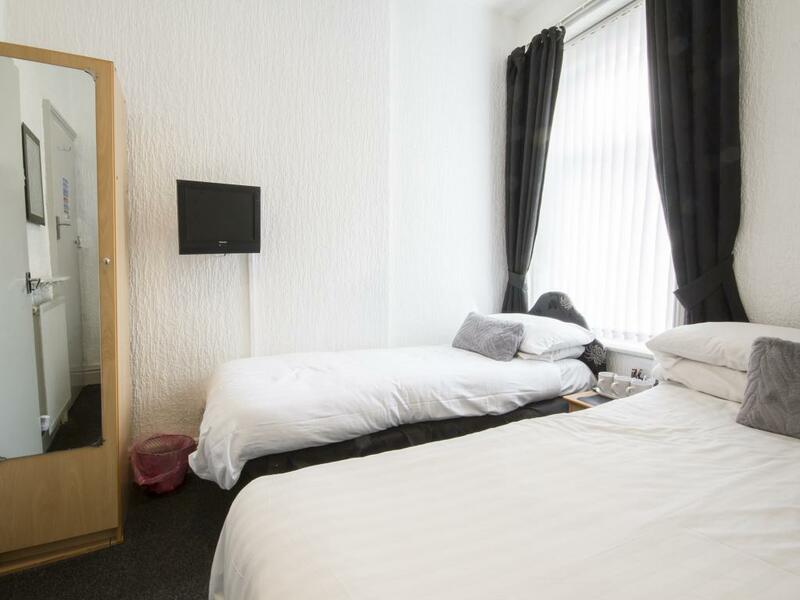 There is a large modern en-suite with shower and both rooms come with TVs, tea and coffee making facilities as well as free Wifi throughout. 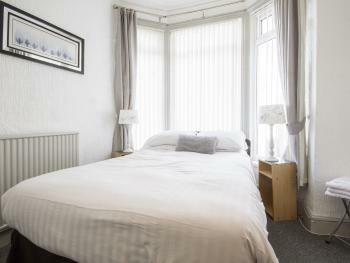 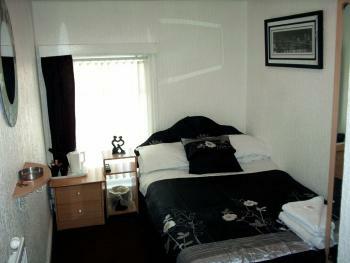 The room is adequate for a family of five but will also take a small group of adults. 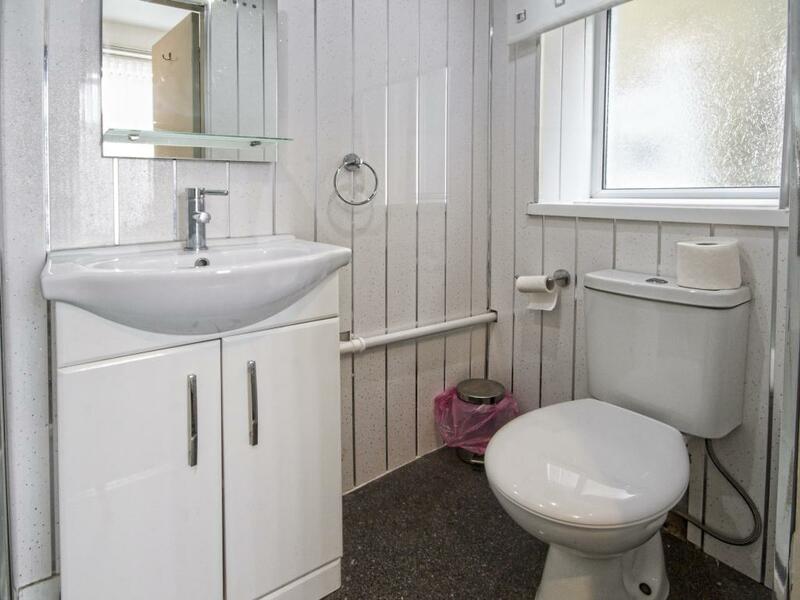 Hairdryers and ironing facilities are available upon request. 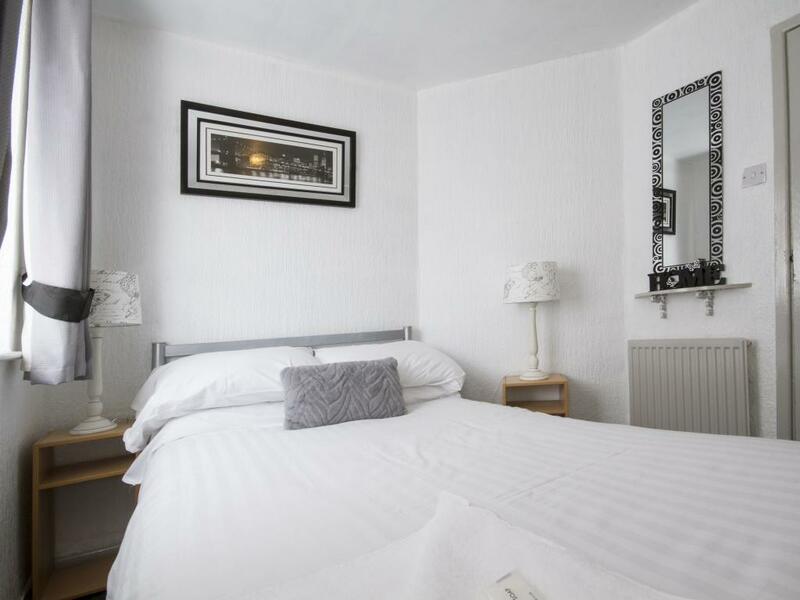 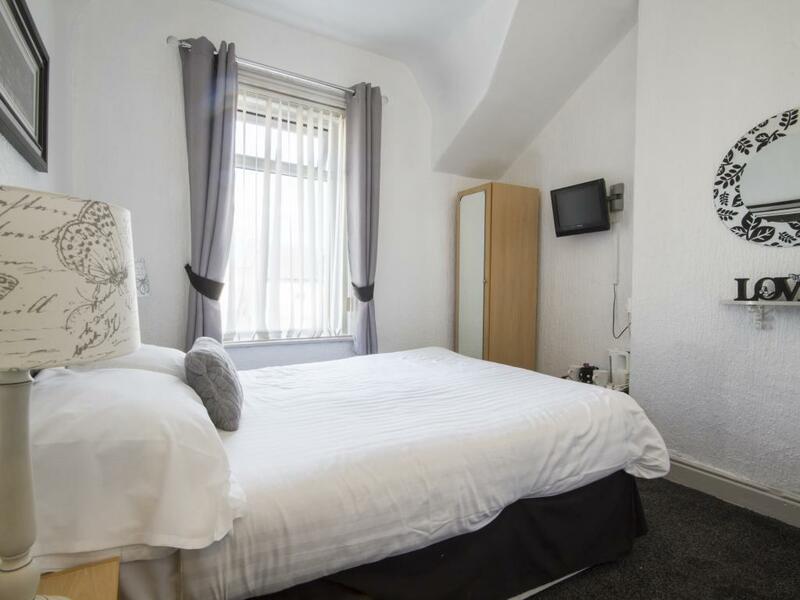 All Double rooms are fitted with a 4'6 bed and come with a modern en-suite bathroom with shower, they also have TVs and tea and coffee making facilities as well as free Wifi throughout. 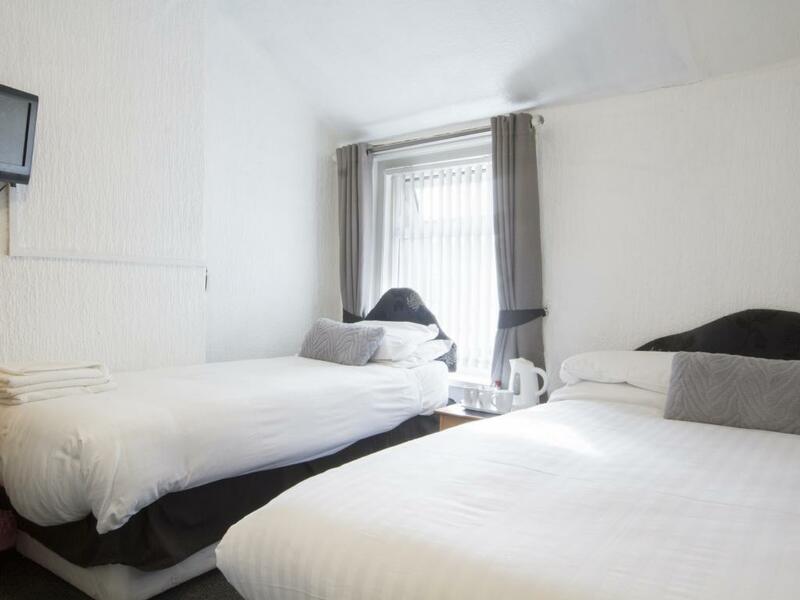 The rooms are more than adequate for two people. Hairdryers and ironing facilities available on request. 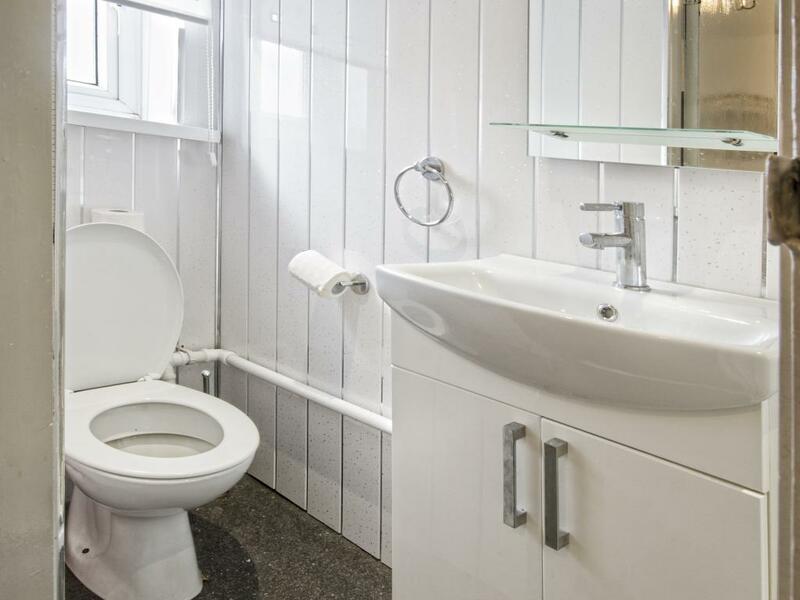 The Small Doubles are fitted with a 4' bed and are more compact than our standard doubles but still come with modern en-suite bathrooms with showers, TVs and tea and coffee making facilities as well as free Wifi throughout. Although smaller than our standard doubles they are more than adequate for a one or two night stay. 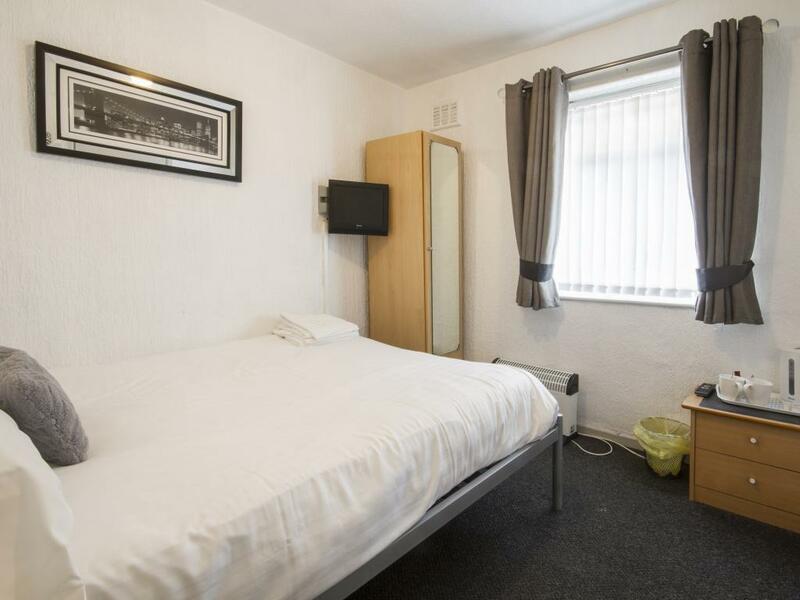 Hairdryers and ironing facilities are available on request. 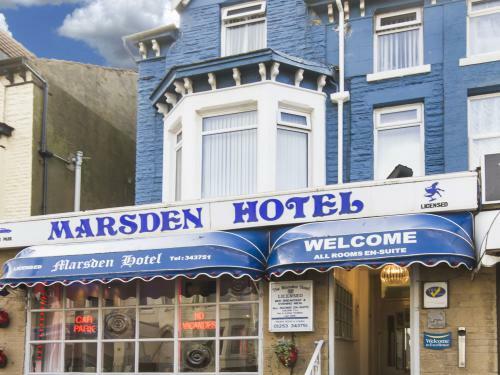 The Marsden Hotel has a relaxed, homely atmosphere, and proprietors Steve and Karen are proud of the hotel’s high level of customer service. Their love of Blackpool shows through in the care and dedication shown to guests. 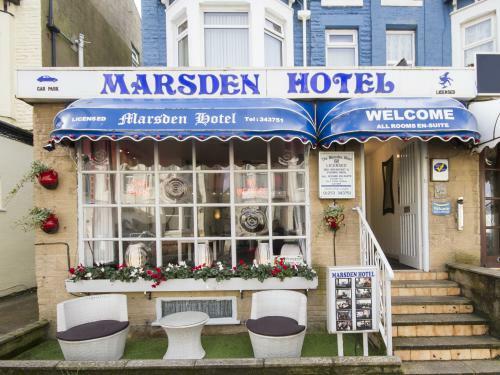 It is ideally situated adjacent to the promenade, within easy reach of the shops and a wide variety of entertainment. 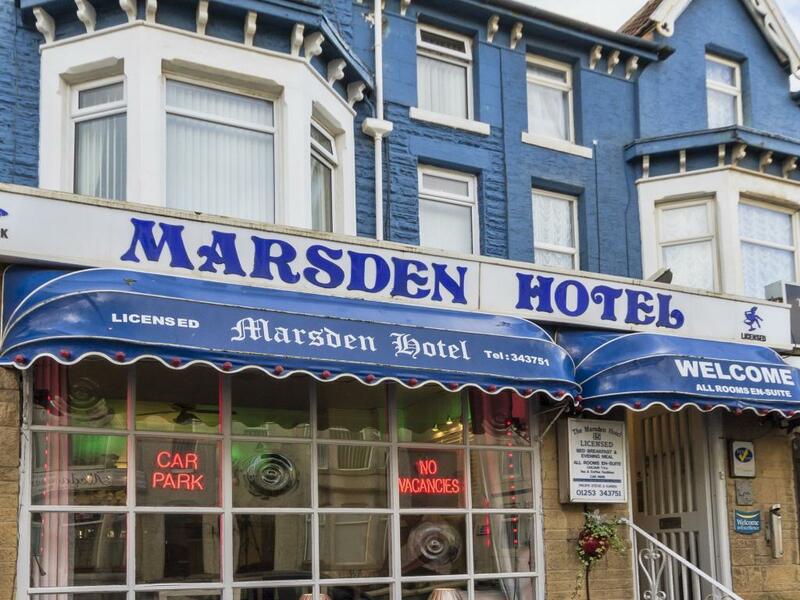 It is only a short journey from the Pleasure Beach, Sandcastle, the world famous Blackpool Tower and all the area’s piers and theatres. 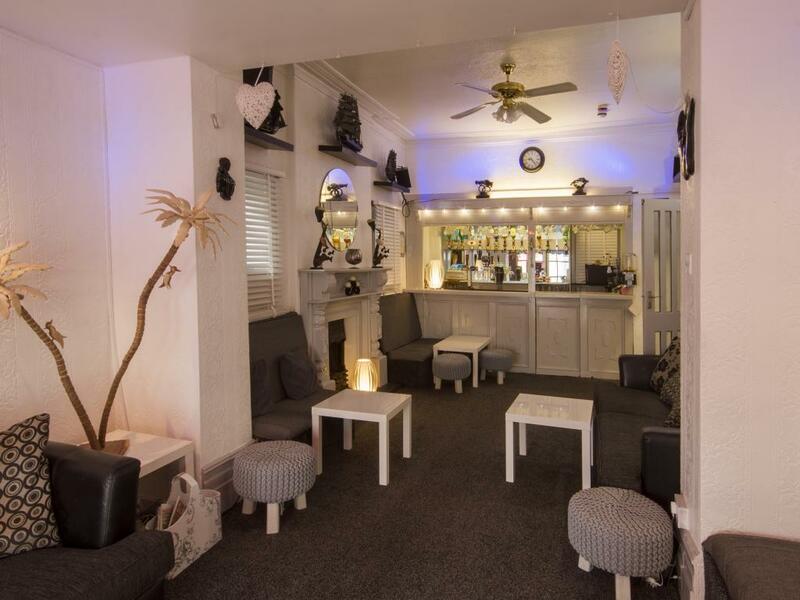 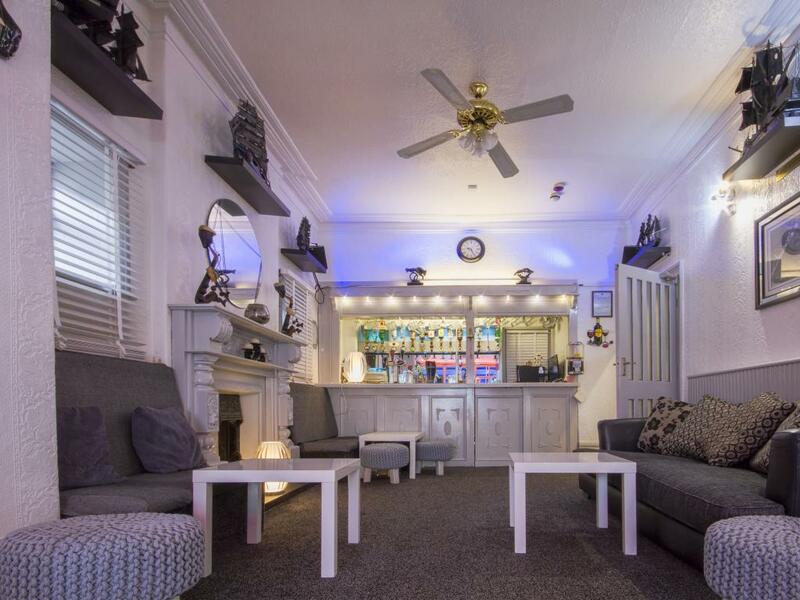 Enjoy meeting other guests and making new friends over a drink in our fully licensed, cosy bar. 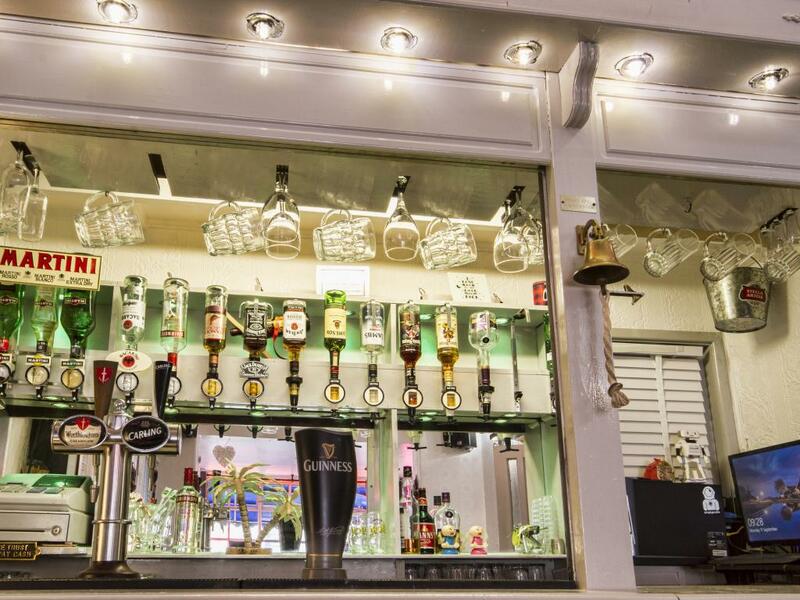 The bar is well stocked with a good choice of wines, beers and spirits. 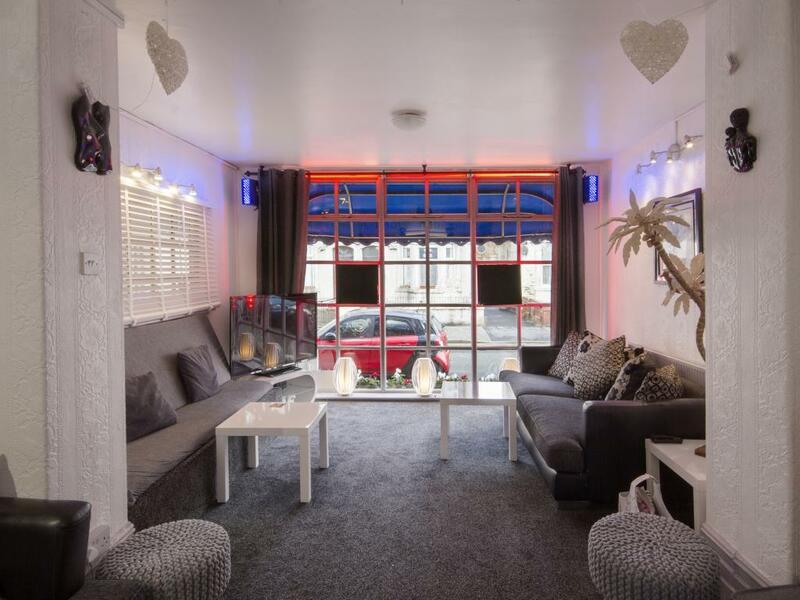 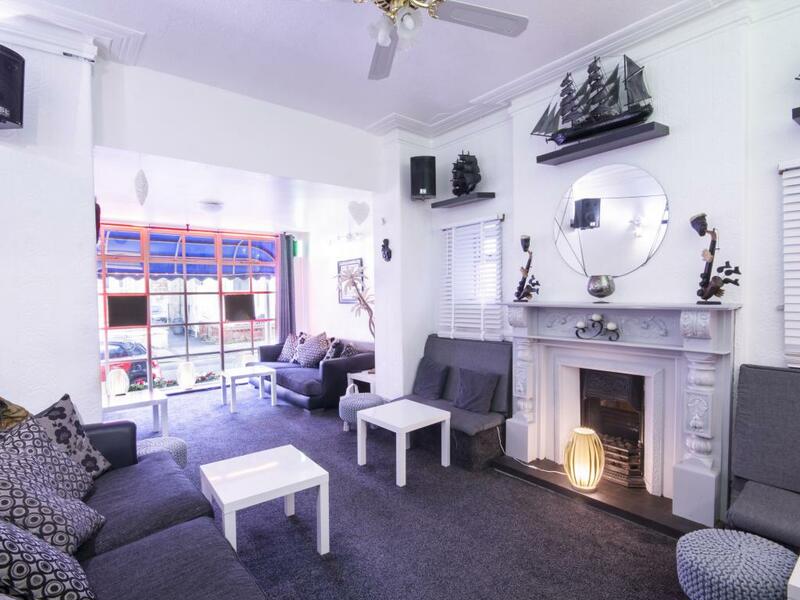 Or why not just sit down, relax on the comfortable sofas and watch your favourite television programmes after a hard day’s shopping? 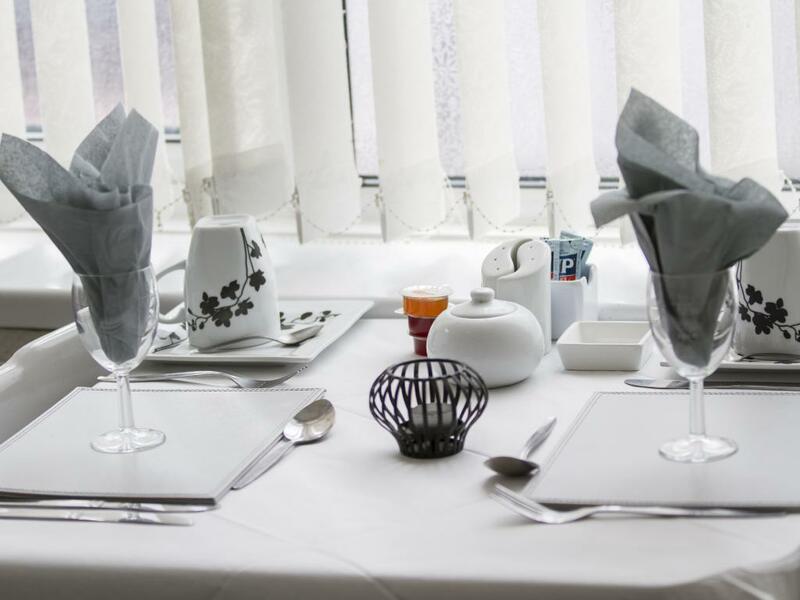 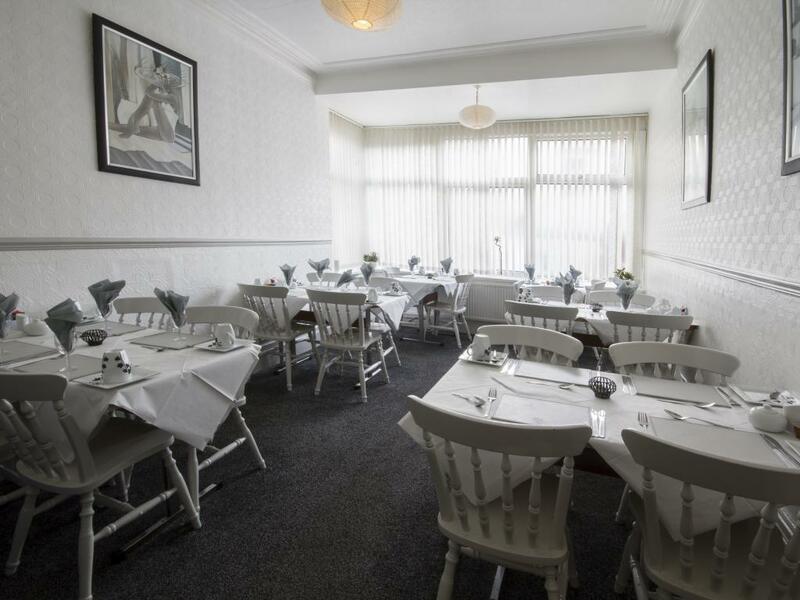 Enjoy being pampered in our pleasant dining room, where we serve good home cooked food. 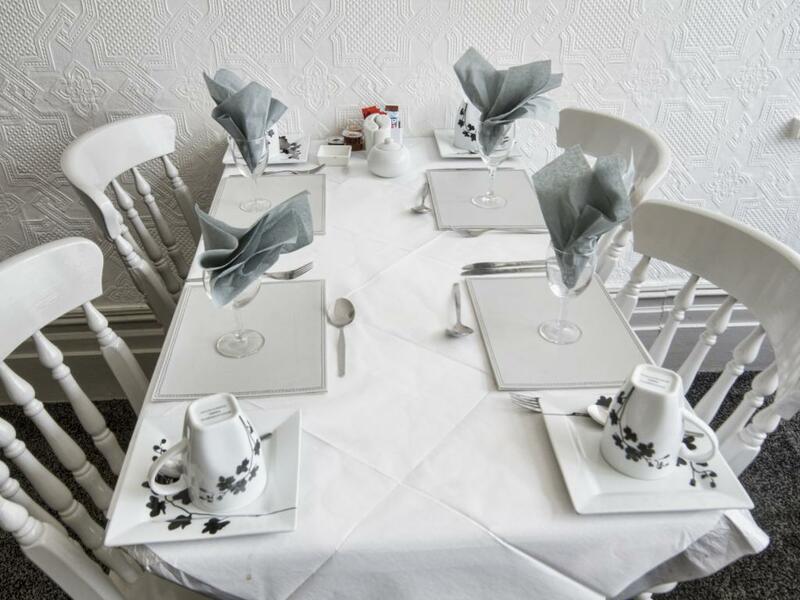 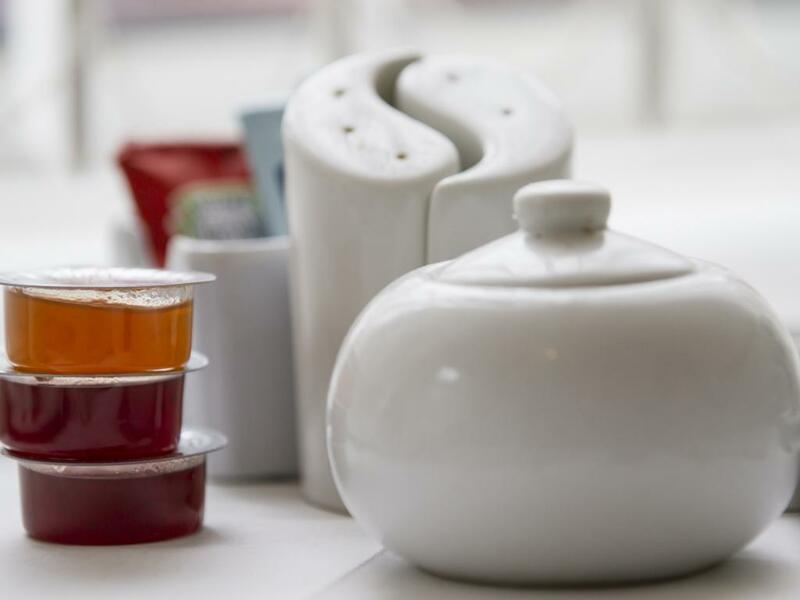 Start your day with a full English breakfast or one of several other choices. The hotel/guesthouse itself is an old Victorian building and does not have the space to offer large travel lodge style rooms but we try to make up for this with our personal customer service. 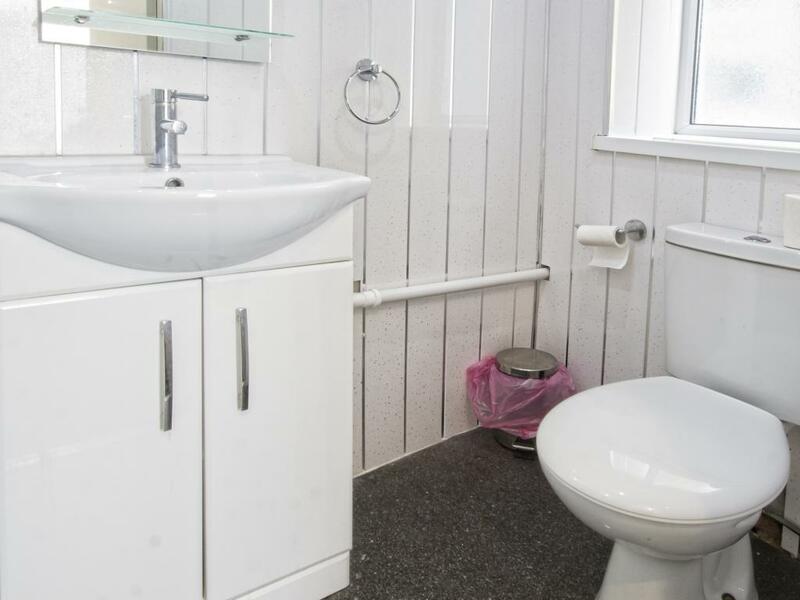 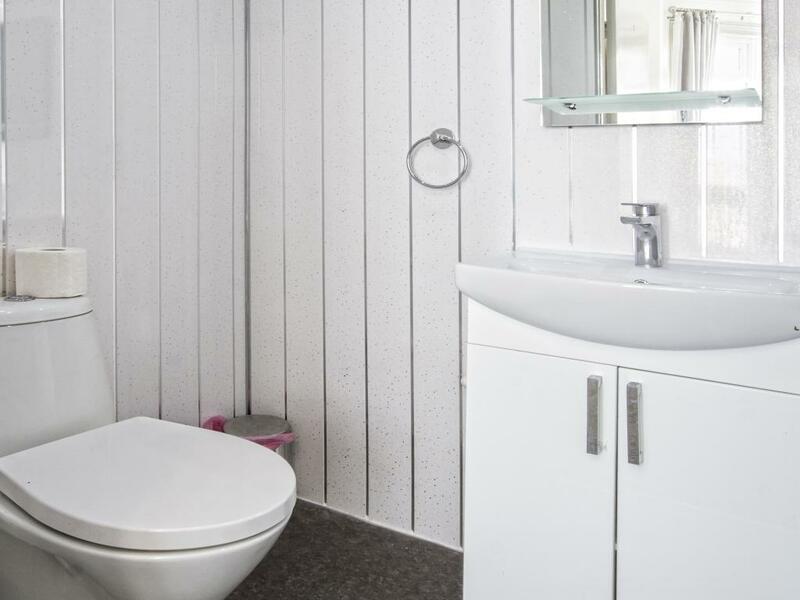 All the rooms have modern en-suite bathrooms with showers, TVs, tea and coffee making facilities as well as free Wifi. 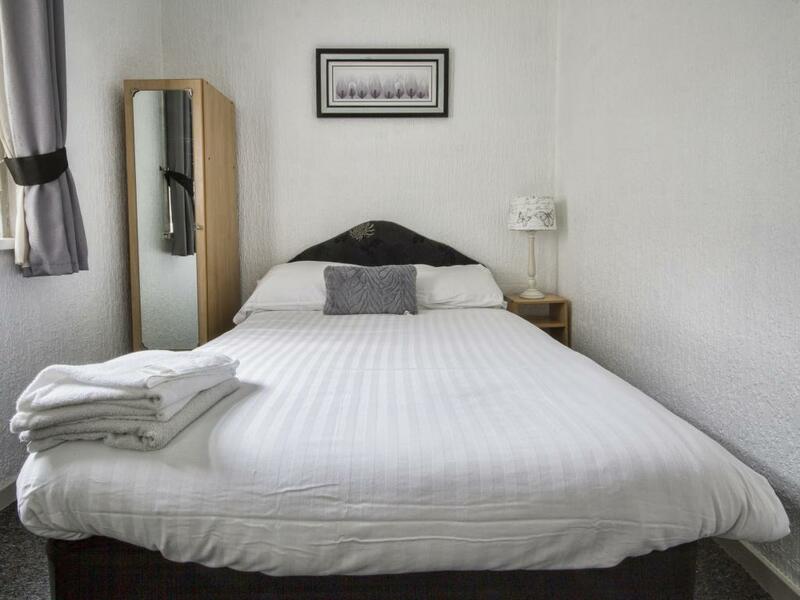 All our guest accommodation is up at least one floor accessible by a minimum of sixteen steps.